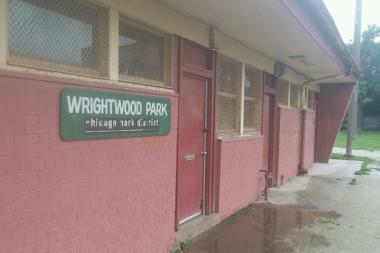 Wrightwood Park, 2534 N. Greenview Ave.
LAKEVIEW — Police said three young robbers with knives — one as young as 13 — went on a North Side crime spree Monday afternoon, putting people in headlocks and stealing their phones, credit cards and cash. One of the robbery victims was an 8th grader watching a cross country meet in Wrightwood Park, 2534 N. Greenview Ave., according to NBC Chicago. He was with two other students from St. Josephat School in Lincoln Park, according to ABC7. In each incident, two teenagers walked up to someone, "physically grabbing them or placing them in a headlock," then held up a knife and demanded their cell phone or credit cards, according to police alert issued Monday. The teens then ran into a black Nissan Hatchback, where an older man was waiting, and drove away. Their accomplice in the car is described as a black man in his late teens or early 20s, about 6-feet and 180 pounds. He was wearing a white T-shirt at the time of the robberies, police said. One North Side man, who asked not to be identified Tuesday morning, said he "never feel[s] safe anymore" when he takes early morning walks in Wrightwood Park. "I used to come here to walk before sunrise, but now I only come during daylight hours," said the man, who said he lives in Lincoln Park. "I worry for my safety, and my wife's safety." Catherine, who declined to say her last name, was less guarded as she walked Oscar, her golden retriever, in the park Tuesday morning. "I always try to be alert, but I've never had anything happen to me," said Catherine, who also lives in Lincoln Park. "I would never come here after dark, though." "It helps to have him around," she added, patting her dog. Anyone with information on the robberies or the suspects is asked to call detectives at 312-744-8263.